Seven set off from Macc Town Hall on the Sunday Training Ride: Ant, Karl, David, Matt D, Matt Y, Jamie and Simon. A ride that lived up to expectations: 18.5mph, tick; 50ish miles, tick; back for 12:15, tick. Fantastic weather, bonus tick. Hundreds of cyclists in evidence making the most of it. We exchanged greetings with the Easy Ride near Tatton! 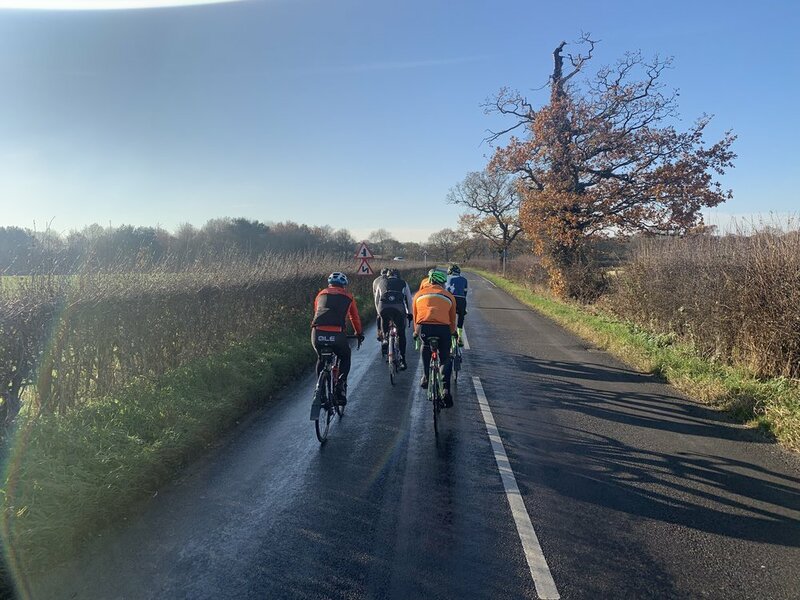 We looped out to Great Budworth and back - working hard on the return leg into the easterly wind - finishing with a final push up to Over Alderley from Mottram.